The American, Mathew Nagel, was one of the first people to receive electrodes implanted in his brain, for the purpose of control external devices. The young man was just 24 years old when he got this neural prosthesis, in the context of a clinical trial. The implanted prosthesis was developed by the company Cyberkinetics (Clausen 2009, 154). There are at least two types of neural prostheses, the motor neural prostheses and sensory neural prostheses. The goal of the motor neural prostheses is to receive neural signals from the motor cortex, subsequently, these signals are decoded and forwarded to a technical device. Sensory neural prostheses signals from the outside world are changed so that the brain can work with these signals. 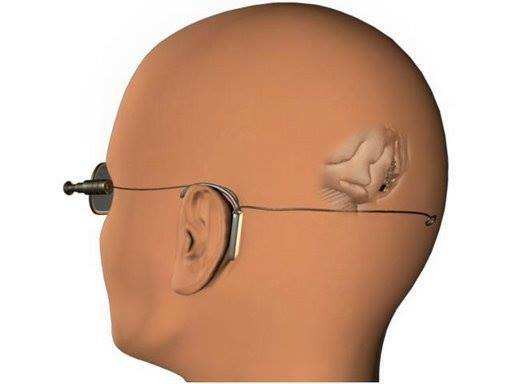 A well-known example of a sensory neural prosthesis is the cochlear implant, which allows hard of hearing and deaf people to understand language. In June 2004, Mathew Nagel got a motor neural prostheses implant. The implant was connected to a computer through which the young man, who was completely paralyzed, was able to check e-mails and use the TV. In addition, he was able to use rudimentary an external prosthetic hand. About a year later, the implant was removed. There are good reasons to describe the use of a neural prosthesis as a therapeutic act and not as a form of enhancement. Therapy aims to restore health, or physical and mental functioning. Due to his paralysis Mathew Nagel could not check his e-mails or use the TV in the normal way. But he was able to do that with the help of the neural prostheses. Contrastingly, therapy enhancement aims to improve the ability of healthy people, instead of restoring mental or physical health. If we, for example, implant an unnecessary chip in a healthy woman which allows her to turn a light on and off using her thoughts, this is an enhancement, and not a therapeutic act. This is because the implant is unnecessary; the woman does not need the implant to live a normal life. Neural prostheses, on the other hand, helped Mathew Nagel to do everyday things such as checking his emails or turning on the TV, making it a therapeutic implant. Regardless of the distinction between therapy and enhancement, we may find that we can do with technology the things which we could not do without technology. If we follow Heidegger’s reflections, we can define several types of technology in the sense that they “bring forth something“. The first form is to allow something to grow. If we plant the seed of an oak tree in moist, fertile soil, it will grow and become a tree. Here something comes out of the seed, which was previously hidden in. In other words, something grows out of itself. The human plays no role, but this changes with the classical form of technology. Here, human brings something to light. Let’s stay with the prosthesis and let us use the example of the wooden leg. When a craftsman produces an antiquated prosthesis (a wooden leg) he needs suitable material (i.e. wood). In addition, he has a certain idea in his mind, how a wooden leg should look like. So you can say, that other than the material, a specific concept of form is required. Of course, the craftsmen also has an idea of the purpose of a wooden leg. And finally, the wooden leg must be made ​​of the material, according to the shape idea for a particular purpose. So we are dealing here with four causes. The Greek philosopher Aristotle has already spoken of the four causes. He called them “causa materialis“ (material cause), “causa formalis“ (formal cause), “causa finalis“ (purpose cause) and “causa efficiens“ (efficient cause). Of course, the craftsman is the one who produces the prosthesis, but he is not the only reason that the wooden leg is actually produced. The other causes (material, form and purpose) are also necessary (Heidegger 1954/1977, 6). If the craftsman manufactures a wooden leg in the manner described, then the leg is a form of classical or traditional technology. The wooden leg is „brought forth“. Unlike a tree, which grows from a seed, the wooden leg would not come about by itself. Humans are required to create the wooden leg, combining the four causes (material, shape, purpose and effect). In Heidegger’s opinion, there is a big difference between the traditional and modern technology. In the case of traditional technology, a human has the task of uniting the four causes, but in the case of modern technology, the focus is exclusively on the efficient cause. This means that humanity – or rather, the power of humans – is the only reason that something exists. I must explain this idea: Aristotle was convinced that material can not be changed. Of course, Of course, Aristotle was aware that it is possible to mix different materials together, but he believed that materials themselves are not changeable. Incidentally, this also applies to the form. The form, similarly, is something fixed. If we, for example, speak of a human, then we have an idea of ​​what a human is. There is a form or an idea of a human; we can discover this idea, but we do not create the idea. In the course of modern technology, this has changed. We are able to disassemble things into their individual components. So, we are dealing with the individual elements, which we can re-assemble. In this way it is possible for us to create entirely new materials. For Aristotle, this was unthinkable. It is similar to the “causa formalis” (formal cause). While Aristotle and his teacher Plato were both firmly convinced that the shape and the idea must be seen (or must be won through insight), today we are creating completely new forms – indeed in the way we want it. We create hybrids between sheep and goats. We create people who, like the color-blind artist Neil Harbisson, can be referred to as cyborgs. We are able to create hybrid creatures of human and technology or of human and animal genes. The great danger that Heidegger sees in modern technology is the fact that apart from the efficient cause we forget all other causes. In modern technology, human being apparently create the materials, shapes and purposes of things in such a way as he wants it. Everything is subject to his will and his power. Human is the absolute center. However, Heidegger argues that it is not the human being that is the center, but the Being (das Sein) itself. In connection with the modern technology and also in connection with considerations of human enhancement and transhumanism, however, the Being is not in the center, but the human. Now if the human actually is the focus and if he is also in a position to be able to produce all sorts of things with technology, then the question arises, what orientation is man, when he makes things? The German philosopher Hans Blumenberg sees the developments of modern technology very critically. In his view, modern technology matters an enormous amount, but most people are unable to understand the technical developments and their consequences. So we are dealing with a discrepancy between technical efficiency on the one hand and the limited ability of people to understand on the other (Blumenberg 1981/ 2012, 7ff). This (limited) ability of most people to understand could serve as orientation on the question of what technical developments should be fully realized. Many people are very skeptical when they think about the developments in the field of genetic engineering, especially when it comes to the topic of genetic engineering in humans. If the capacity for insight is to decide whether such technical development as genetic manipulation in humans should be realized or not, then it would make sense to educate people about the possibilities and consequences of genetic engineering and to explain the technical procedures involved. It is a problematic fact that people have different levels of intelligence. There are people who understand the facts and make connections very quickly, but there are also people who take a long time to understand things. Others cannot understand anything, despite all attempts at explanation. How can we direct ourselves if we want to implement technical developments and innovations? Should we align on the average of the population? Although some people are able to understand what it means to carry out genetic manipulation on humans, it does not necessarily follow that these people advocate such manipulation. People have different ethical and moral convictions. So if we want to orient ourselves towards average people, we must also focus on their (average) moral convictions. It is very problematic if we align ourselves on the average population. Great technical, cultural and philosophical accomplishments were not created from the average population, but by individual thinkers (masterminds). However, the masterminds must be able to convince the masses of their ideas. This does not mean that they appeal to the understanding of the average population. It may also mean that they (only) speak to the emotions of the people. In ancient Greece, the Sophists used this method. The leaders of the people were referred to as demagogues. Today we understand the word demagogue to mean, not leader but seducer. If it is possible to convince the general population, it is possible to realize the ideas of the elite masterminds. This may sound strange, or it may even seem politically incorrect. But in today’s Science, this is ongoing and permanent. If projects are to be realized, it needs financial support. The financial support comes from external funding. In essence, Science is also about convincing the powerful. With powerful people, I mean those with the financial resources, and the power to decide to use the funds for implementing a project. If we focus on the ability to comprehend, we only need to orient ourselves with the capability of the powerful to understand. The ability to have economic means does not necessarily have anything to do with intelligence, but only the pursuit of power, i.e. with a certain characteristic property. The objective of the transhumanist movement is not only to improve the human capabilities, but also to overcome natural and cultural boundaries. The fact that the human body ages and dies, is due to the laws of nature. At the same time we have a culture of aging and dying. Most people tend to accept these natural and cultural conditions. They are considered normal. But it is possible to take a different perspective on these things. That the acceptance of the fact that our body will become old and weak and we have to die is surrendering to a (currently) superior opponent. The Transhumanist refuses to accept these limitations. He wants to live well, healthy, and as long as he wants; not as nature dictated to him. Certainly, it involves a quest for power, but I see no reason to call this pursuit of power as morally reprehensible. The impression that this pursuit for power is morally reprehensible lies justified in the opinion of the average population. But if we focus on the average of the population and their moral beliefs, we may never reach the overcoming of the limits. Limits that we have not done, but to which we must conduct ourselves. Either we accept these limits, or we will overcome them. Transhumanists are elitist, they see themselves as masterminds and pioneers. They think what is unthinkable for average people. But the unthinkable may certainly be thought, if the courage exists. Immanuel Kant once said: Have courage to use your own understanding. If we have the courage, there is no reason why we should accept that our nature has insurmountable limits. This thought brings me back to Heidegger. 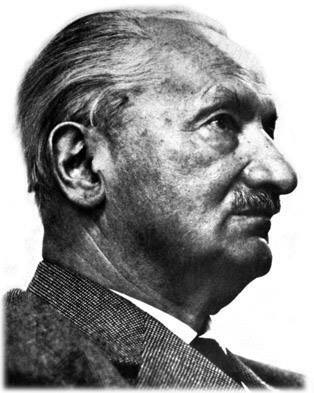 Heidegger advocated an ontological-centric worldview. The task of man is to help the Being express itself. In simple terms: Man should think and say what is. If that is correct, then the pursuit for power is also an expression of Being – indeed of human existence. Perhaps the Transhumanist is the one who does more than just listens to the Being. Maybe he is the one who has the courage and the strength to follow the voice of Being. Friedrich Nietzsche once said: all lust wants eternity. Lust is the expression of Being, it follows that the Being wants eternity. 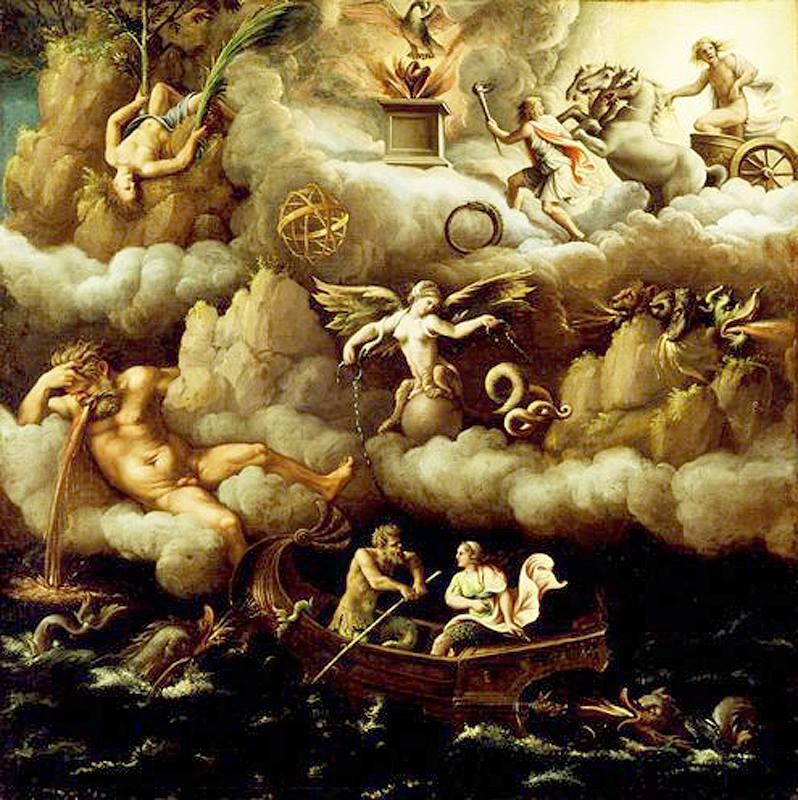 Man has the task to help the Being to eternity by overcoming the nature-given limits..
Blumenberg, Hans (2012): “Lebenswelt und Technisierung unter Aspekten der Phänomenologie.“ Wirklichkeiten in denen wir leben. Aufsätze und eine Rede. Hans Blumenberg (Stuttgart: Philip Reclam jun. ), pp. 8-54. Clausen, Jens (2009): “Ethische Fragen aktueller Neurowissenschaften.“ Der implantierte Mensch. Therapie und Enhancement im Gehirn. Elisabeth Hildt and Eve-Marie Engels, eds. (Freiburg, München: Karl Alber), pp. 145-168. Heidegger, Martin (1977): The Question Concerning Technology (New York, London: Garland Publishing, Inc.).